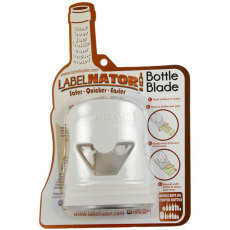 A curved scraper to scrape labels off of bottles. FastLabel 12 oz. 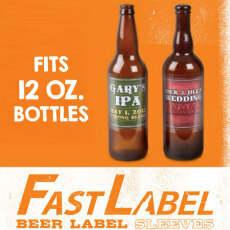 No Adhesive Label Sleeves - 70 ct.
An innovative way to adhere labels to 12 oz beer bottles. Create your own water resistant. 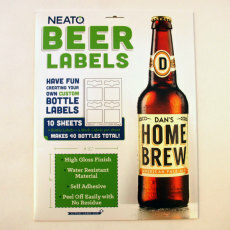 self adhesive beer labels! 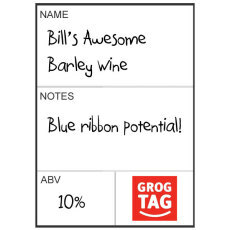 GrogTag Reusable Basic Bottle Label, 24 pk. Label your bottles over and over again with GrogTags! FastLabel 1L No Adhesive Label Sleeves - 50 ct.
An innovative way to adhere labels to 1 liter bottles!